Last year Google.org launched its first French Google Impact Challenge, a national competition for nonprofit organisations that use digital technologies to scale their work in the country. We received hundreds of ideas from non-profits across France and were blown away by the creativity, passion, and innovation we saw in the submissions. After public voting, ten French organisations stood out and were awarded at an emotional ceremony at the French Ministry of Foreign Affairs. 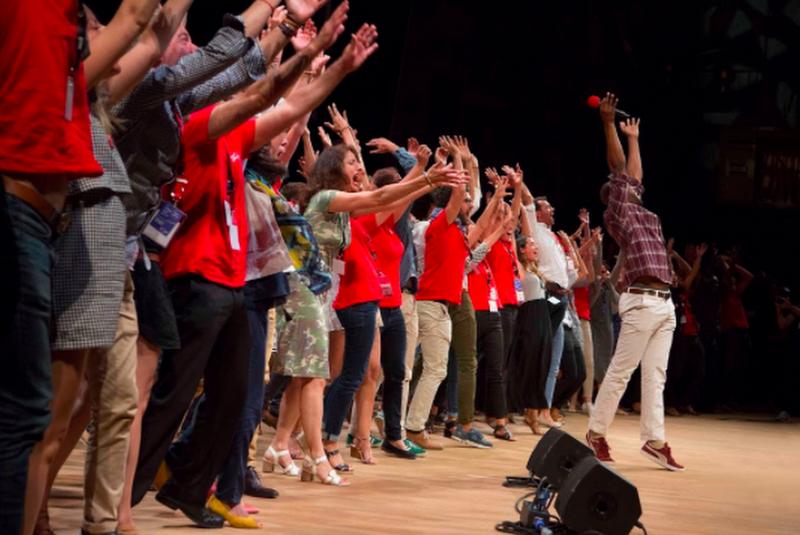 Each received funding (500,000 euros for each of the four big winners, 200,000 euros for each finalist) and a tailor-made mentoring program, supported by Googler volunteers, with the support of the Social Factory and Invest &+. A year later, we’re looking back at the progress of ten organisations with impressive goals and even more impressive results. We wondered: have they managed to change scale? Have their projects have come to fruition? What additional impact have they had? We were not disappointed. Each organisation reported that their projects have taken off in three key areas with Google’s support: adding new staff members, benefiting from mentoring to build technical tools and building credibility to secure new funding or partners. Libraries Without Borders has grown from 15 to 60 employees and will deploy 70 mobile media libraries in the field before the end of the year, compared to just four one year ago. This project will give access to the Internet, books and educational resources to populations around the globe in the greatest need. Jaccede, whose mission was to crowdsource accessibility ratings of public spaces for people with physical disabilities has designed, developed and launched a new simplified platform that lists more than 13,000 additional places. Ticket for Change was able to hire one person to disseminate its new online support program for entrepreneurship, and gained credibility with funders and partners. The donation agency, which allows Internet users to offer essential products to the most deprived persons during their online shopping, has established partnerships with major players in e-commerce. La Banque Alimentaire du Rhône, whose mission was to enable retailers to donate unsold food to nonprofits, has convinced 50 traders to join its ProxiDon platform, of which 255 baskets have been offered since last June. That’s nearly 10,000 meals distributed to people in precarious situations. MakeSense, which connects social entrepreneurs and volunteers, has seen its team grow from 35 to 65 employees and is in the process of raising funds in the United States. My Human Kit has grown from a team of volunteers to four full-time employees working to connect people with disabilities with low-cost, open-source prosthetics. Their growing community continues to offer solutions to people with disabilities who want to create their own technical assistance. Voxe.org’s mission to re-engage young people in politics now has two employees and launched the successful WhatTheVoxe newsletter. Y Generation Education, through Jackie, Y Generation’s sponsor at Google, the team met Renan, a data science expert, who joined the organisation in June as head of technology. They have concentrated their efforts on Brazil, where recruitment and training issues for "invisible" young people are key, and have adapted their platform by making it even more entertaining. During the exchanges we had with the associations throughout the year, we saw how important it was for them to have consistent support that allows them to grow, to consolidate their strategic plans and to continue to improve their technical tools. With continued work ahead of them, Google.org answered the call. Each winning organisation will receive a supplementary grant of $ 50,000 and continue in the mentoring program. This allocation will allow, for example, the Banque Alimentaire du Rhône to finance an electric vehicle to collect donations and bring them to associations; For My Human Kit, it will secure an additional employee for the year to come. The Google Impact challenges have been run elsewhere in Europe too, including in Germany and the UK. These awards recognise entrepreneurial organisations who think on an ambitious scale and have a healthy disregard for the impossible and we look forward to seeing what they do next.